If you like Christmas lights as I am, you should check out these app-controlled Wi-Fi Christmas tree lights – I need to have them right now. Twinkly LED String Lights for $130 connect to your Wi-Fi network, so you can manage them with the free Twinkly app for iOS and Android. Set your garland as you like on your Christmass tree. It doesn't matter how you place it. Then, once the lights are on your Wi-Fi network, use the app to detect the lights. 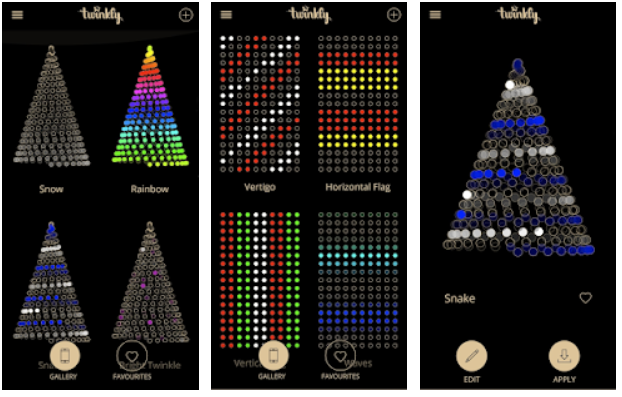 Since they are colored RGB LEDs, in the app you can create drawings of any color that automatically highlight the corresponding light bulbs on the tree with one touch of a finger. The application also comes with animated presets, although some of them either drive your pets crazy or hopefully hypnotize them unconscious. The manufacturer also claims that if you use different sets, you can synchronize them for animation at the same time. You can buy them in a pack of 175 LEDs or 225 LEDs for $ 30. They can also be controlled through Google Assistant.